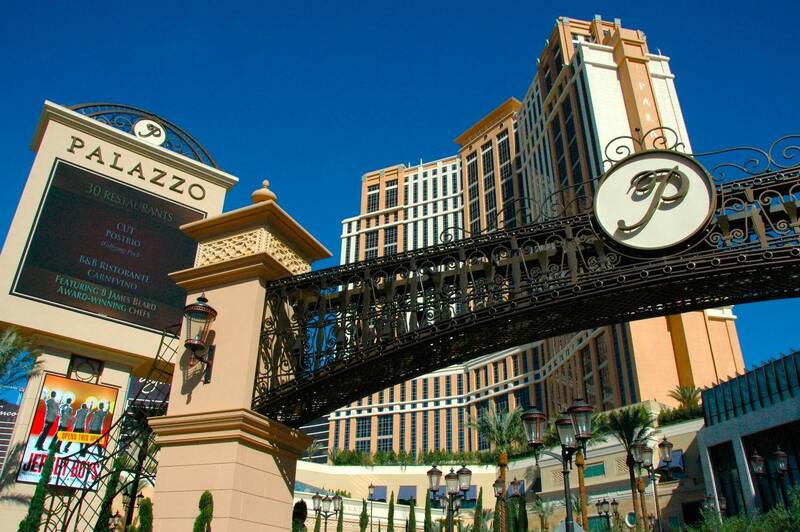 Las Vegas has taken its place as a home to some of the world’s most prestigious restaurants, and on Thursday, September 9, many of the best will be poolside at The Palazzo Resort-Hotel-Casino for the Las Vegas Epicurean Affair. This wonderful event is hosted by Nevada Restaurant Association (NvRA) and The Palazzo Resort-Hotel-Casino, the Las Vegas Epicurean Affair promises a tantalizing evening of culinary delight. Guests can stroll along the Palazzo's luxurious pool and savor cuisine and cocktails from nearly 75 renowned restaurants and beverage purveyors in a for the palate pleasing event that shows off Las Vegas . NvRA would like to thank the sponsors who made this event possible: 702west, Aramark, CBS Radio, Dine Out Magazine, KNPR, Mission Industries, Patrice & Associates Hospitality Recruiting, Sierra Ice, Southern Wine & Spirits, Sysco Food Services of Las Vegas and Wirtz Beverage Nevada.’ Proceeds from the event benefit NvRA’s educational and scholarship programs. The Las Vegas Epicurean Affair is open to the public and will be held Thursday, September 9, 2010 from 7:00 p.m. to 10:00 p.m. at The Pools at The Palazzo. The annual Celebration of Harvest is held in October of each year, when the whole county is in the thick of the winegrape harvest and winery staff take a needed break to showcase their latest wines, many newly bottled! 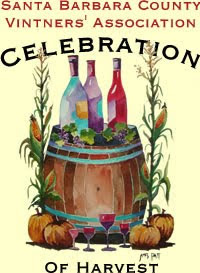 This year's Celebration of Harvest will be held on October 9th from 1 to 4pm, and once again on the beautiful grounds of Rancho Sisquoc Winery in the Santa Maria Valley. Local restaurants, caterers and specialty food purveyors will showcase their talents and the bounty of Santa Barbara County, while live and lively bands will fill the air with music. 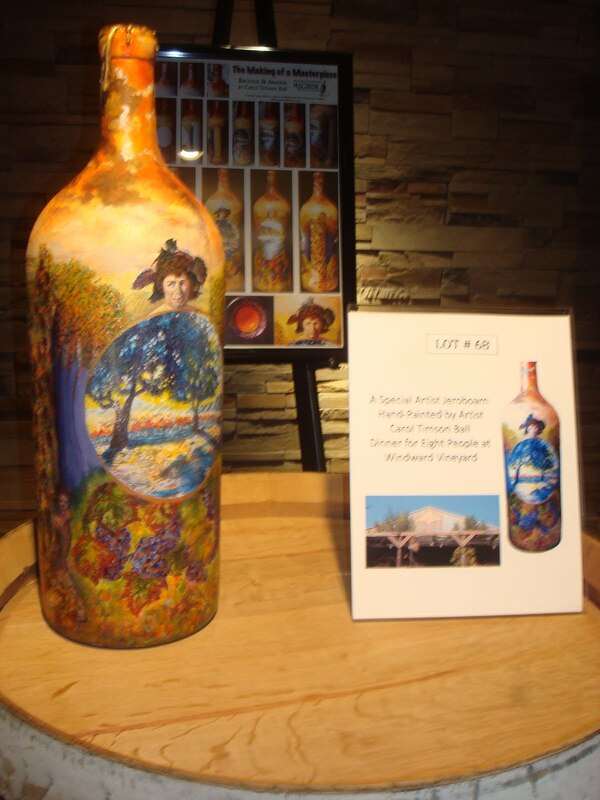 Add to that the silent auction, filled with specialty wines and large format bottles from members of the Vintners’ Association to benefit local food banks, and we definitely have a reason to Celebrate Harvest! Be sure to take in the sights, sounds, smells and excitement of harvest by extending your stay for a few days. The Vintners’ Visa is a four-day pass to 12 participating wineries, each of whom are pulling out all the stops just for Vintners’ Visa holders. The Vintners' Visa can be used at participating wineries from can be used Friday through Monday so make it a long weekend! And for the full celebratory mode, (and for a great deal! ), order a “combo ticket” which gives you access to the Festival at Rancho Sisquoc and a Vintners’ Visa! 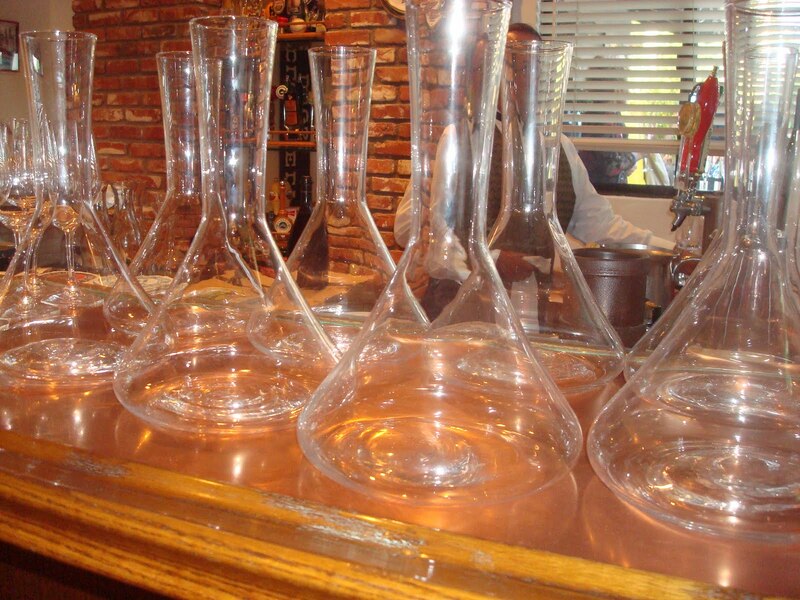 Join us and stay the weekend to enjoy one of the best wine regions in the country ! Its that time of year again . 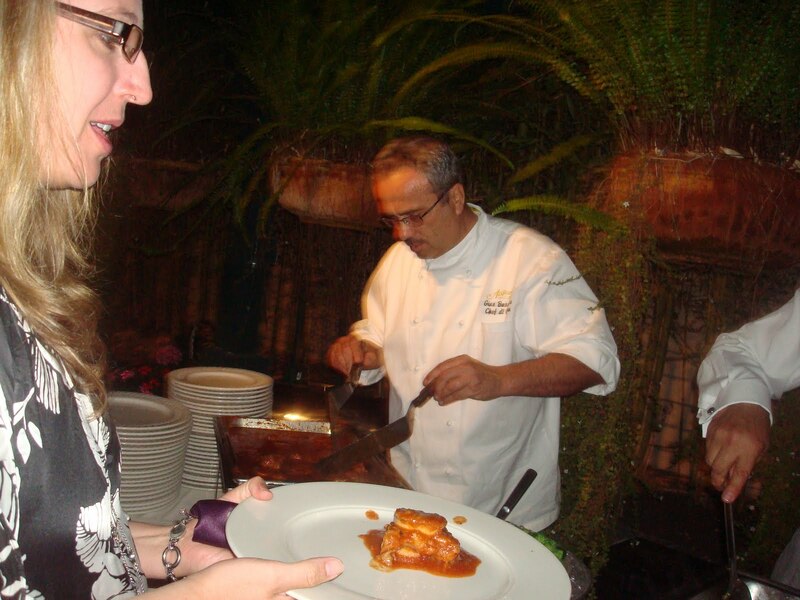 A chance to give back while dining out at some pretty renowned restaurants. Once again, Three Square will be partnering up with the finest restaurants in Las Vegas to bring you Restaurant Week. 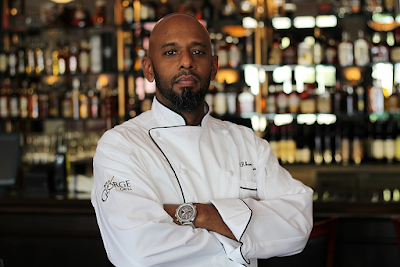 This is a great chance to sample the cuisine of world-famous Chefs at a fixed price with the proceeds going to help Three Square end hunger in Southern Nevada. Specially-designed Restaurant Week menus feature three-course meals at three price points - $20.10, $30.10 and $50.10 per person. Below is a list of participating restaurants and their Restaurant Week menus that are sure to make your mouths water ! Each restaurant can elect to participate at one of the following sponsorship levels of their choice. This level determines the cover price per meal they will donate to Three Square during Restaurant Week. We will be making the rounds that week and hope to see many of you out and about ! 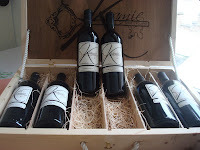 Wine is about sharing and in many cases giving. 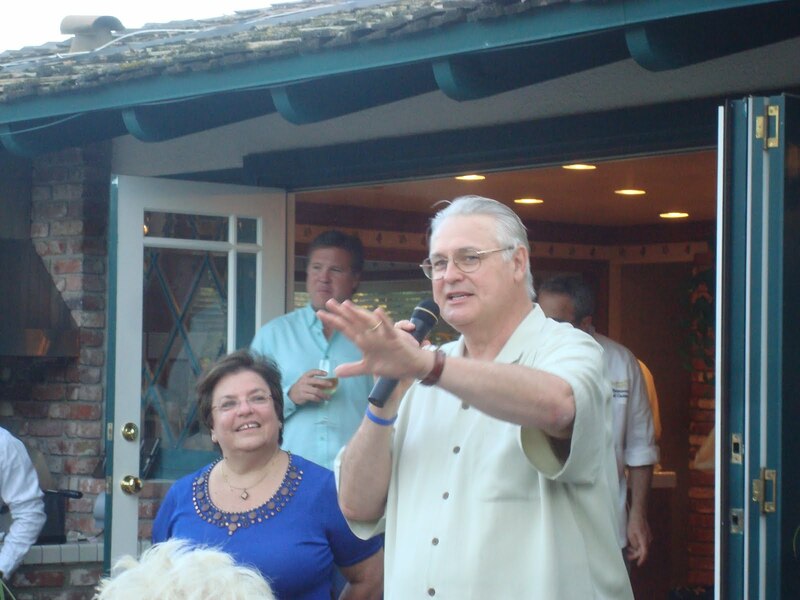 Ilene and Jim Harker reside in fashionable Newport Beach , California and have been giving back for many years. 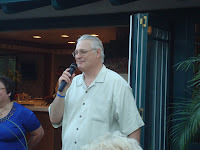 The Harker's have allowed their cellar to be "raided " for many years with all of the proceeds going to the Speech Language Development Center. The story of SLDC began in 1955 in a home in Long Beach, California. In that living room, two speech therapists, Aleen Agranowitz and Gladys Gleason, began working with three parents and their children who had speech, language, learning and behavior problems. They had been lost in a maze of misdiagnoses. The children were diagnosed as aphasic - a term little used with children at the time. During the summer of 1975, trustees of the Centralia School District agreed to lease the Oro Grande Elementary School campus to SLDC. For the first time in 21 years, children from the preschool, elementary and secondary levels were all housed at one location. In 1979, the Center moved to another district school, Mira Linda - our present location. Today the Buena Park program serves 340 students with multiple challenges in language, learning and behavior. Children range in age from 3 months to 21 years. Special services support the daily classroom program. SLDC serves as a vendor for public schools, Regional Center and other public agencies. In 2000 the Center negotiated a 27-year lease with Centralia School District. This engendered an expansion plan and a capital fund drive. An important dream has been fulfilled with the addition of 11 new classrooms and office space. Today a busy Center swarms with children, therapists and teachers. It is a hubbub of learning and activity. It is a setting of warmth and friendliness where children and parents are important - the early goal of helping three language-handicapped children reach their potential has expanded to many hundreds - without losing the importance of one individual. 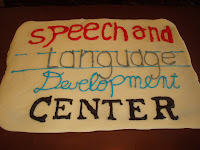 Speech and Language Development Center (SLDC) is a non-profit school and therapy center located in Buena Park and serving Orange, Los Angeles, Riverside and San Bernardino counties. More than 220 staff members provide programs and services for 340 students, ages 6 months through 21 years. Most students have multiple handicapping conditions. All programs and services are available on campus. Speech and Language Development Center's program for infants, toddlers, preschoolers and students through grade 6 is known as the Jolin Program. Jolin features several Full Inclusion classes. This innovative setting, where regular and special education students share the same classroom, has tremendous benefits for all students in these classes. In addition, Full Inclusion classes create an opportunity for challenged and typically-developing siblings to attend the same school. The Eric Program of SLDC, for students ages 4-21, was named after Evelyn Erickson, an early special education pioneer in Orange County. Unlike the Jolin Program, the Eric Program serves only students with challenges and provides a more individualistic approach to tailor each student's program within the classroom setting. The Speech-Language Therapy Department provides group and individual therapy for adults who have sustained speech and language deficits (aphasia) resulting from stroke or other types of brain injury or disease processes. 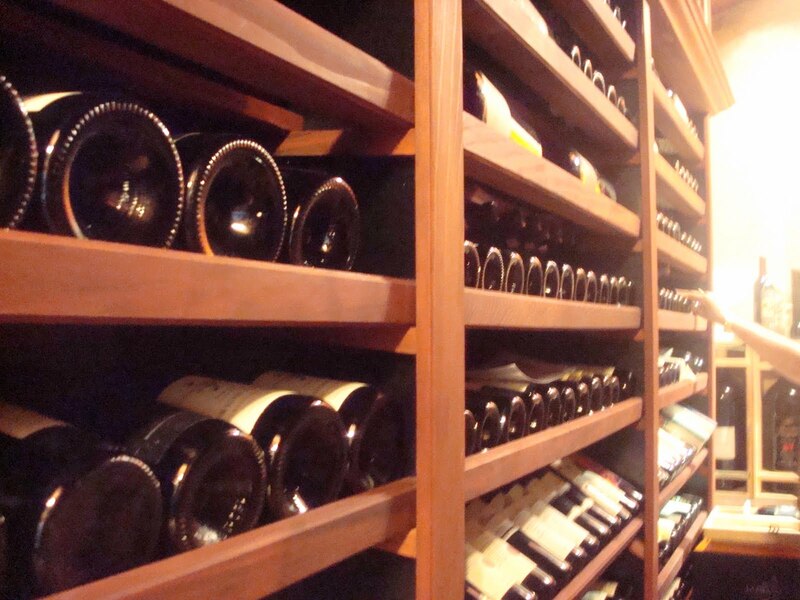 The Harker's cellar has one of the best collection of wines we have seen in quite a while. 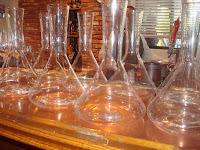 The winning bids could have their choice to "raid " the cellar first and when we did a walk through there would be many amazing wines to think about which wine you would pick first. 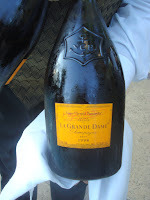 Several thousand bottles in various sizes and large formats were available. 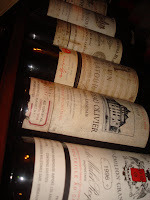 Highlights included Silver Oak , Chateau Latour , Chateau Cheval Blanc , Chateau Rauzan Segla , Sea Smoke , Gaja and Tokaji Essencia just to name a few. Guests were greeted at the Harker's lovely Newport beach home with a magnificent La Grande Dame Brut Champagne 1998 to get the evening started. 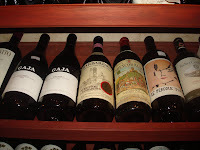 We took a walk around the pool and explored the Harker Cooler that consisted of many fine wines and the Mi Casa / Su Casa wines which were available for sharing , research and enjoyment. We managed to "research"and share a Markham Vineyard 1996 Bordeaux blend and a few others as well. The Auction began and the dollars started rolling in as guests bid for the opportunity to raid this wonderful collection of wines. 100% of the live auction funds were donated to the SLDC. 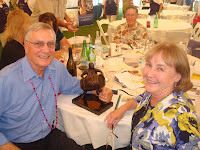 The etched , vertical "big dogs" were some of the first to go as the bid paddles were raised and the auction continued with many fine and historic wines leaving the cellar. 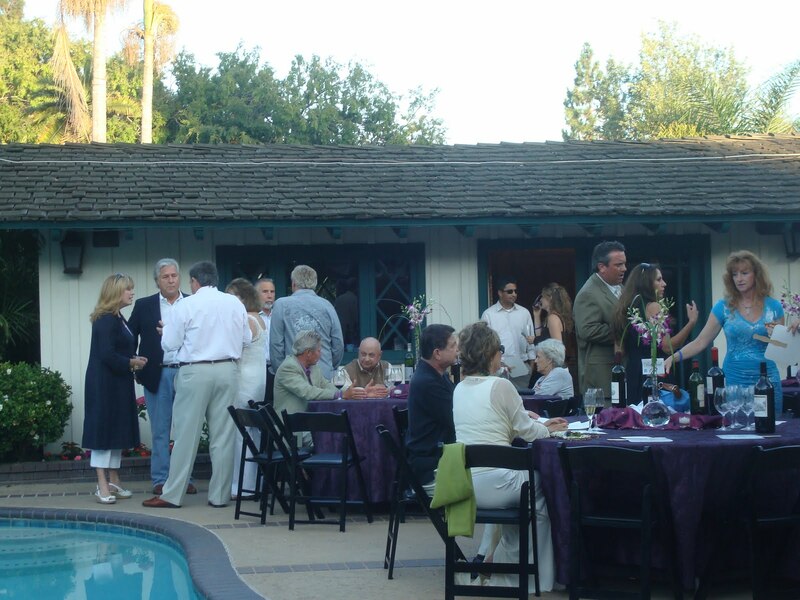 Food and Wine have been together for thousands of years and this event at the Harker's home was no exception. Antonello's passed Hors d' Oeuvres melted our mouth with Focaccia di Recco , Gamberi e Prosciutto , Tonno Marinato , Salsiccia alla Griglia and Arancine kept the guests coming back for more. 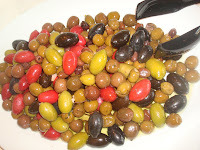 The Antipasto from this well known local Italian eatery was next up for us and we were not disappointed. Grigliata D' ortaggi and Insalata Caprese stood out for us as they tantalized our palates for what was yet to come. Penne al Pomodoro , Fusilli alla Bolognese , Osso Buco , Salmone and Green Vegetable Broccoli were the main courses and they really showed why Antonello's has the fine reputation it does. Restaurant critics the world over have admired Antonello's expansive menu of antipastos, soups, salads and fresh pasta dishes and we can certainly see why. 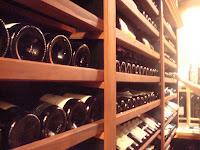 They feature ample variety of exceptional fish, poultry, veal and beef entrees and an award-winning wine list boasts more than 700 foreign and domestic labels. 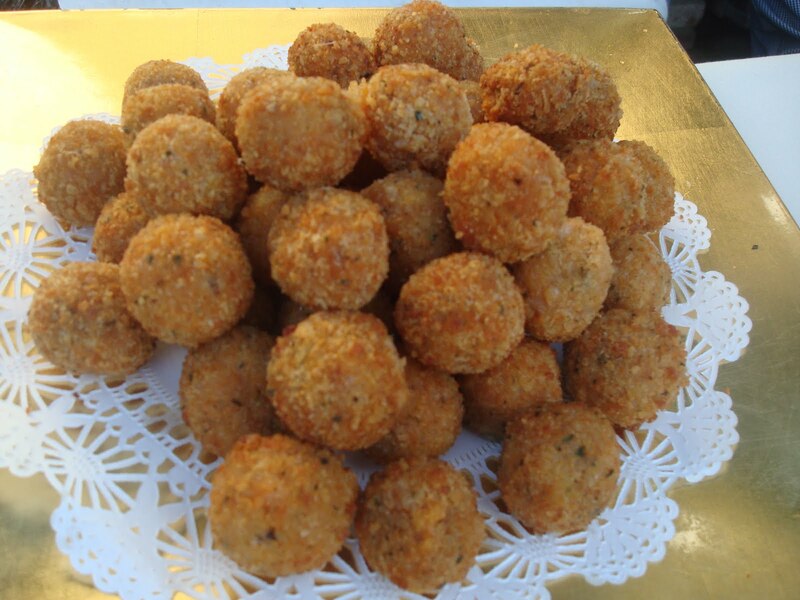 Antonello's has many awards including the Golden Scepter award from the So. California Restaurant Writers for an unprecedented 10 consecutive years and the AAA Four Diamond Award for 11 consecutive years. 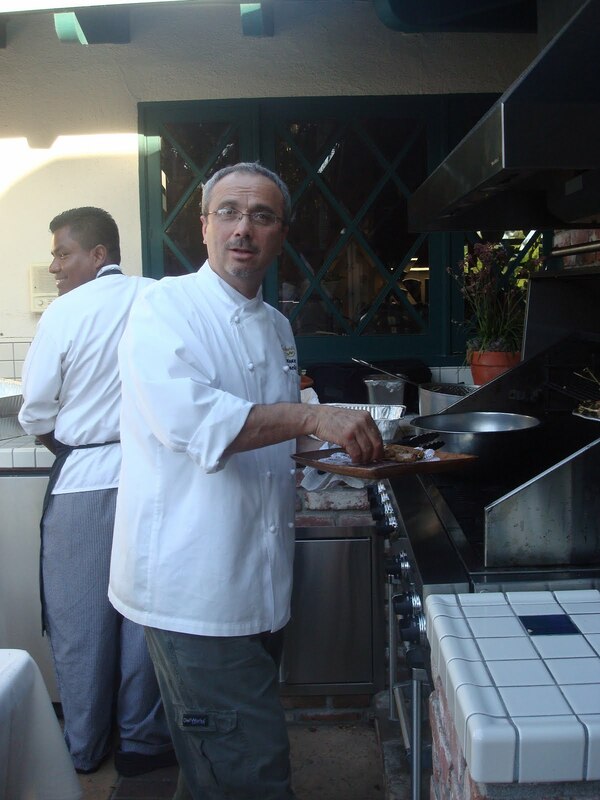 The American Academy of Hospitality Science's Five Star Diamond was awarded to Antonello for "...commitment to hospitality in all aspects of its daily operation." 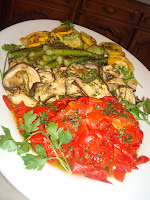 Zagat Guide says, "Orange County's Best Italian ...even worth the drive from L.A. 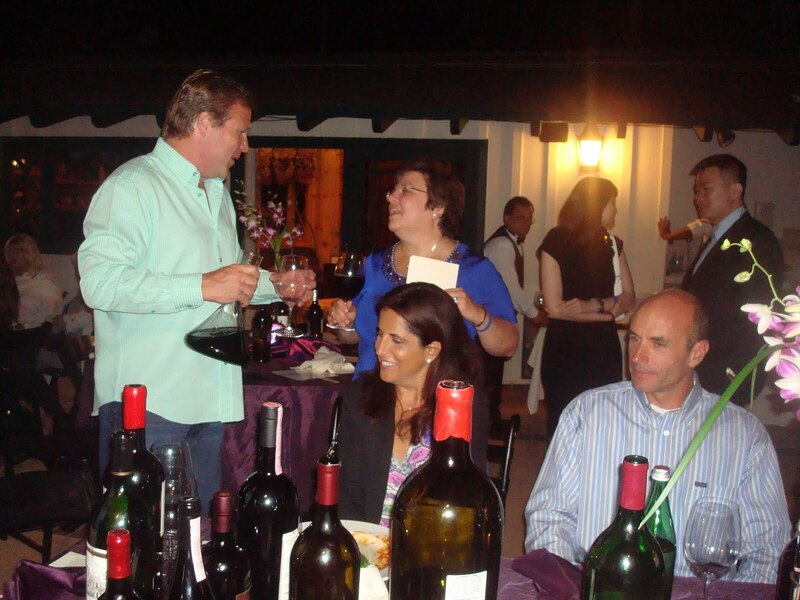 The auction "wined" down and people returned to their tables , Many with their "trophies " of the night. Some of the winners were gracious enough to share some of the wines that that had "raided" from the cellar. 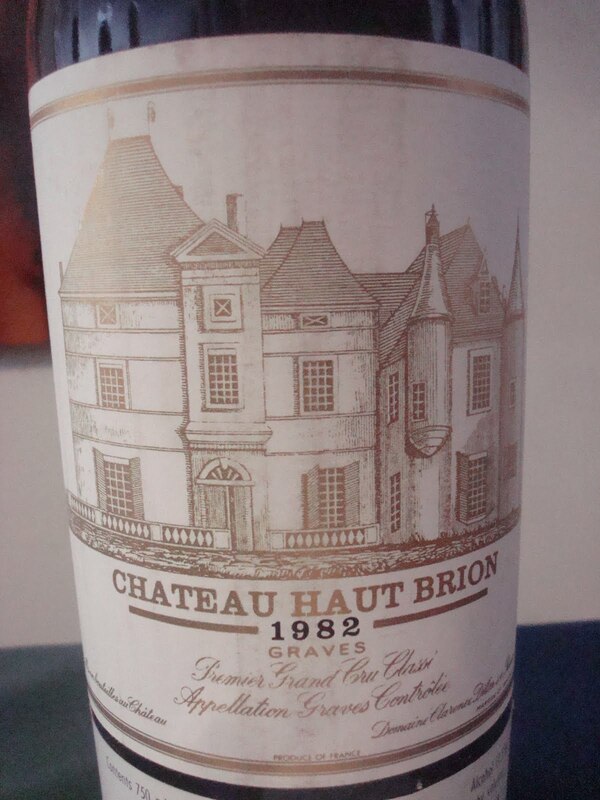 In our case we had the honor to share a large format Chateau Rauzan Segla Margaux 1976 with the winning bidder. What a wonderful experience with very generous people. After all , wine is all about sharing. 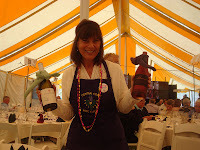 This annual cellar raid is a wonderful and fun way to raise money for a great organization that has been around for over 50 years and helped many many people and change their lives. 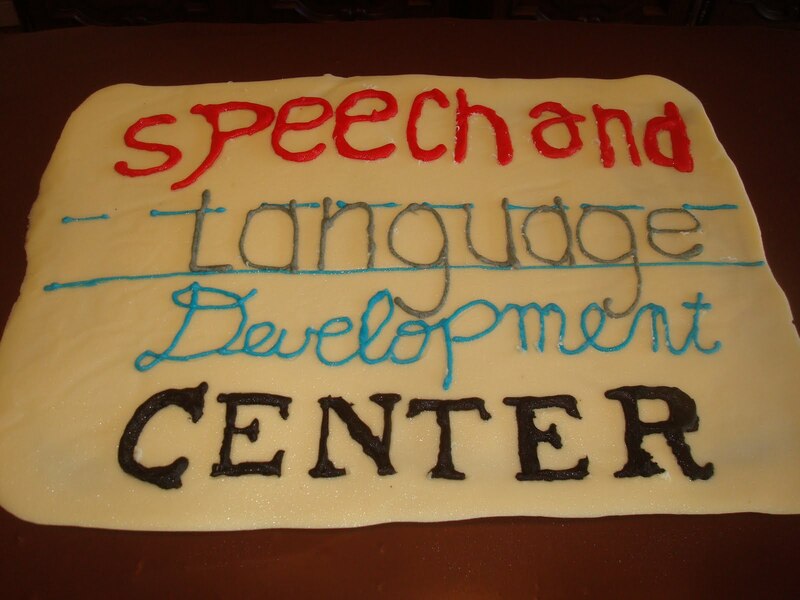 We raise our glass to Ilene and Jim Harker and the Board of the Speech Language Development Center and say thank you for a job well done . Cheers ! For over 26 years the Central Coast Wine Classic has been supporting the arts of the Central Coast of California. With events being held all over the Central Coast guests are able to take a food and wine journey that will be remembered long after they have returned home. Starting with a Dinner at Hearst Castle in San Simeon featuring Chef Emeril Lagassee and Tory McPhail of Commander's Palace and Susan Spicer of Bayona, with Michael Hutchings of Santa Barbara presenting the hors d'ouevres, coordinated by Chef James Sly's Team, six courses with matching wines from Vintner Dignitaries, including Champagne Deutz guests get started on their amazing Central Coast journey. The Dolphin Bay Resort and Spa is a Hub of activity as the headquarters of this 4 day event. 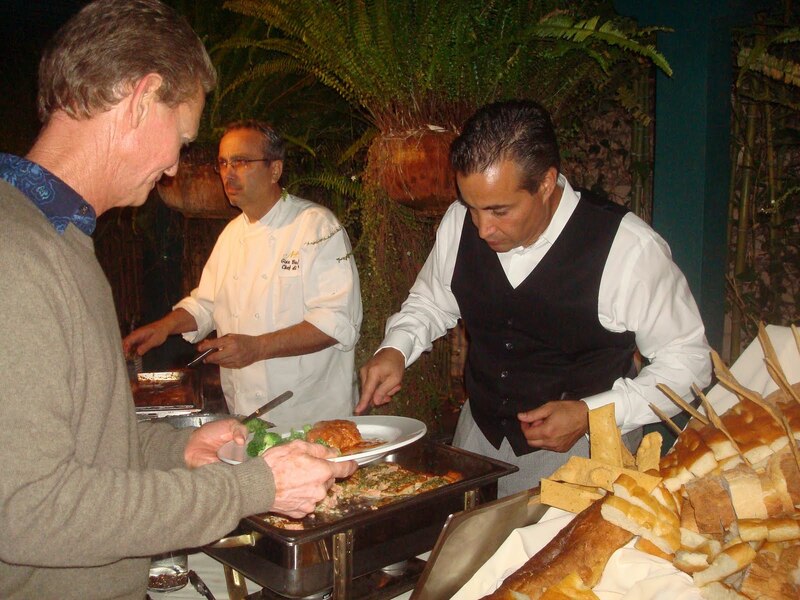 Legendary dinners like the Paulee/Bring-Your-Own Special Bottle and winery dinners all over the Central Coast delight guests with Food and Wine pairings that leave their senses wanting more. 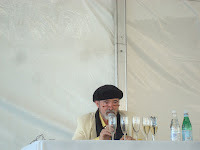 For those who want an education over the weekend , The Central Coast Wine classic offers many Symposiums such as Champagne Deutz with Fabrice Rosset , Riedel Glass with none other than Georg Riedel himself and a journey through Italy with Christy Canterbury from Italian Wine Merchants in New York just to name a few. 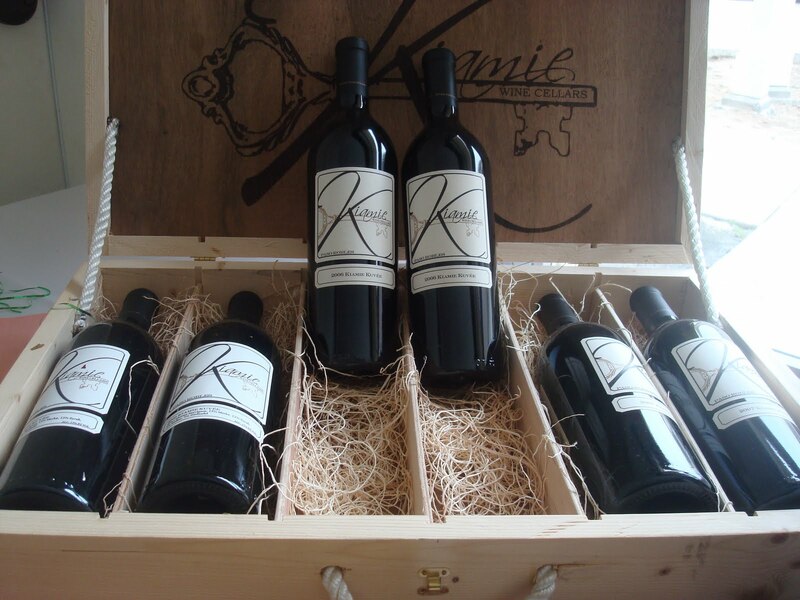 Of course this event is about giving back and the Rare & Fine Wine & Lifestyle Auction, Silent Auction and Luncheon is where the "big" items are . Guest can bid on Vintage wines , one of a kind art , jewelry and trips to exotic locations around the world. All of these wonderful items are auctioned to support the chosen organizations for the year. 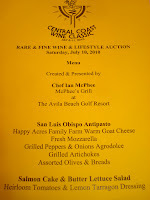 This is a fantastic event that any foodie or wine enthusiasts would enjoy . We know that we certainly did and plan to be back next year. 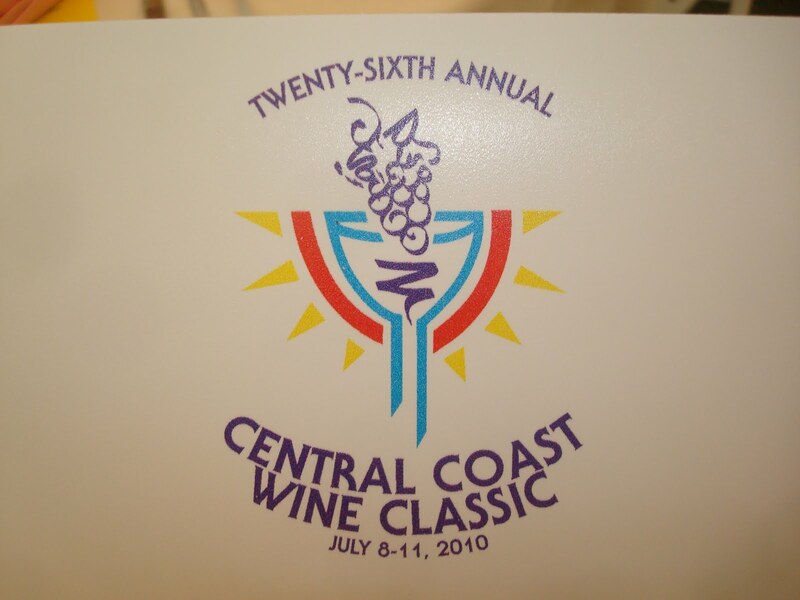 Join Elaine and Scott from VINO LAS VEGAS and The Cuisineist as we take you on a 6 min journey into the 26th Annual Central Coast Wine Classic ! 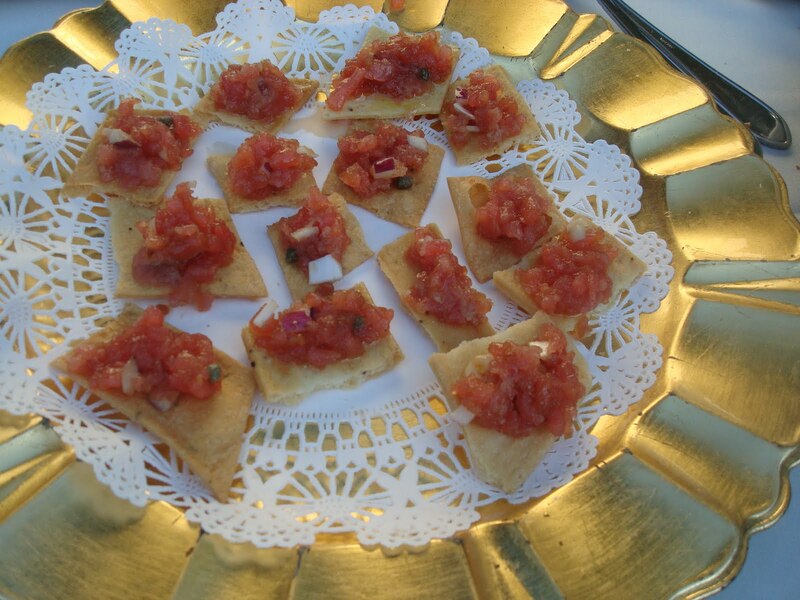 We have been very fortunate over the many years we have been covering food and wine events to meet many great people from all over the world. Recently, we met Archie McLaren and attended the 26th Annual Central Coast Wine Classic at the Dolphin Bay Resort and Spa in Shell Beach , California. 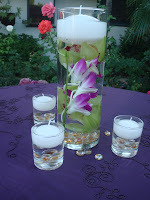 This was an event like none other we have attended. Its focus on education was unparalleled and we were overwhelmed by the quality and diversity of the events held all over the Central Coast. We have focused on events , Chefs and Winemakers over the years. We have never did a focus piece on one particular person that was not either of the above until now. 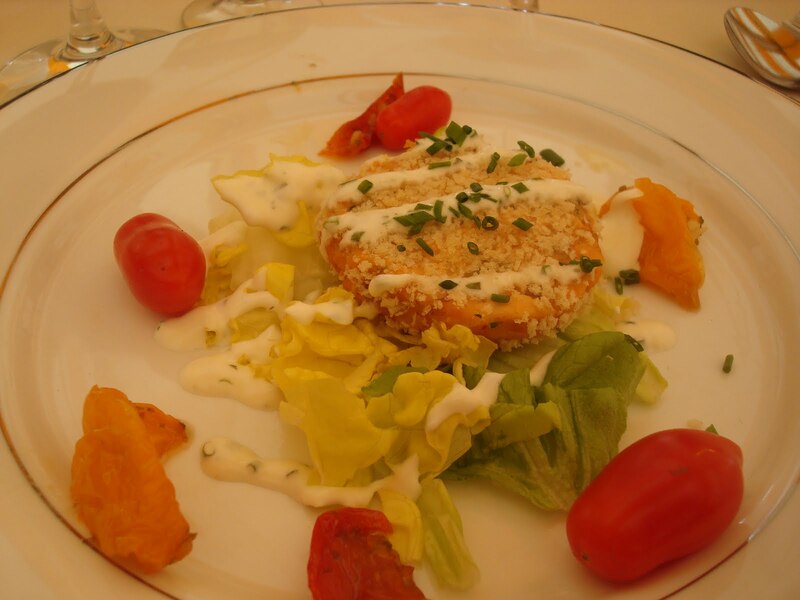 Archie McLaren exemplifies the world of food and wine. 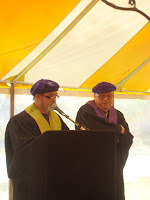 He is a true Renaissance man in every sense of the word and was truly an honor to be in his presence. He is no stranger to the world of fine cuisine and rare wine. He is the founding Bailli of the Central Coast Chapter of the Confrerie de la Chaine des Rotisseurs, a member of the Wine & Food Society of San Francisco, the San Francisco Chapter of the Confrerie des Chevaliers du Tastevin and the Marin County Chapter of the International Wine & Food Society. 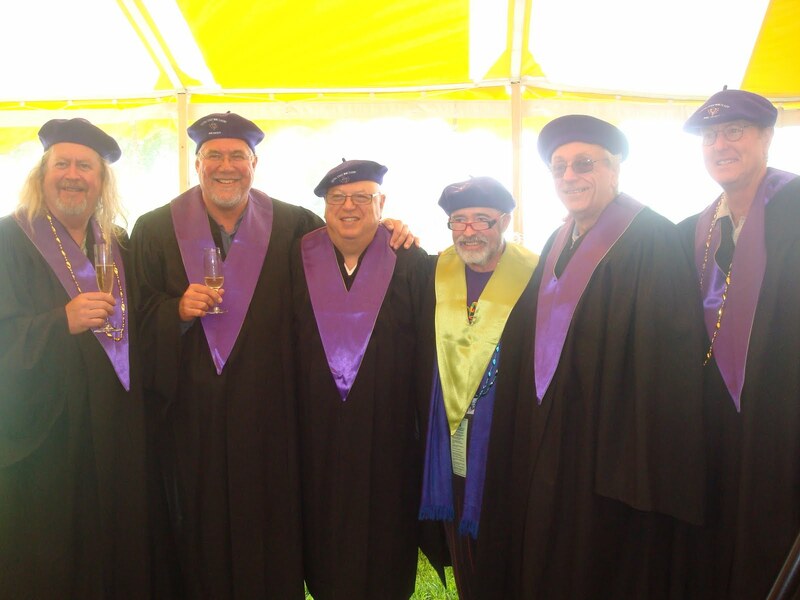 He is the former Cellarmaster of the Avila Bay Wine Society, and the former President of the Central Coast Wine Society. 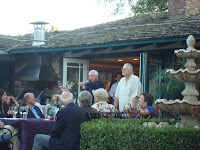 He has served as Chairman/Executive Director of both the San Luis Obispo Vintners & Growers Association and the Paso Robles Westside Grand Crew. 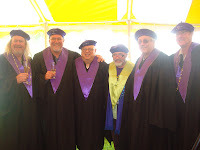 He is one of only two Americans inducted into the Austrian Wine Brotherhood, and one of the few Americans inducted into the Commanderie des Bontemps - Medoc et Graves & Sauternes et Barsac of Bordeaux in France. 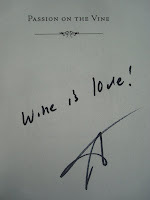 He has recently joined the Wine Committee of COPIA, the American Center for Wine Food & the Arts. 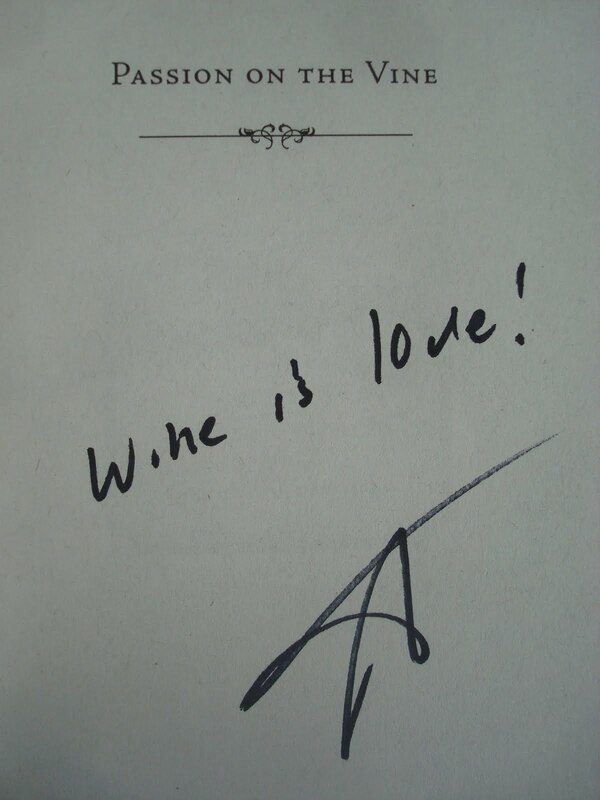 Archie has long been associated with charitable wine auctions. 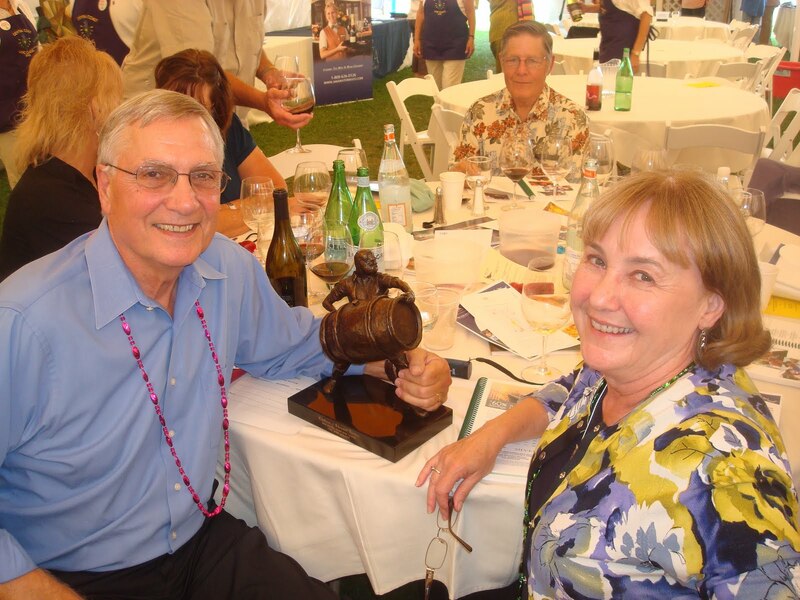 Not only did he serve for many years as the American Institute of Wine & Food's Rare & Fine Wine and Auction Consultant, he also served as a Director on its National Board. 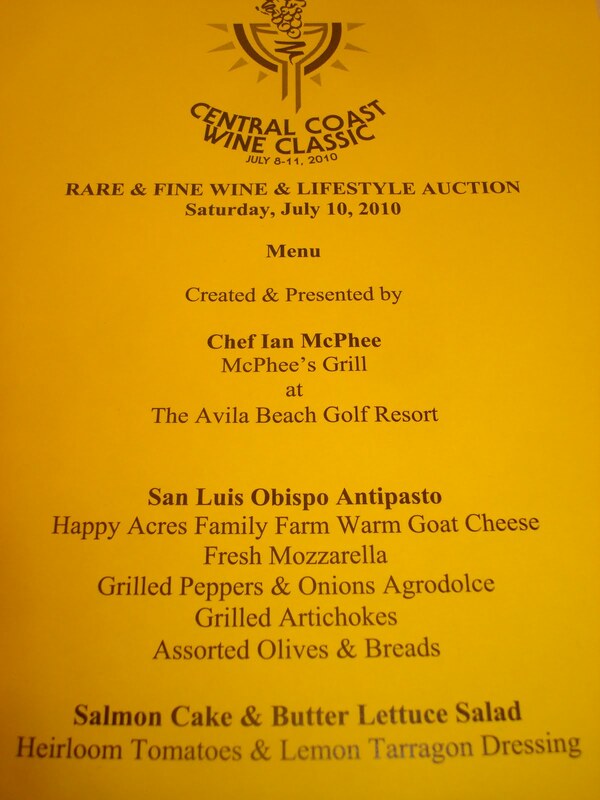 He is the Founder & Chairman of the Central Coast Wine Classic, a prestigious and comprehensive food and wine event, held each year in July and in its twenty-third year, which boasts Wine Spectator among its many significant sponsors. 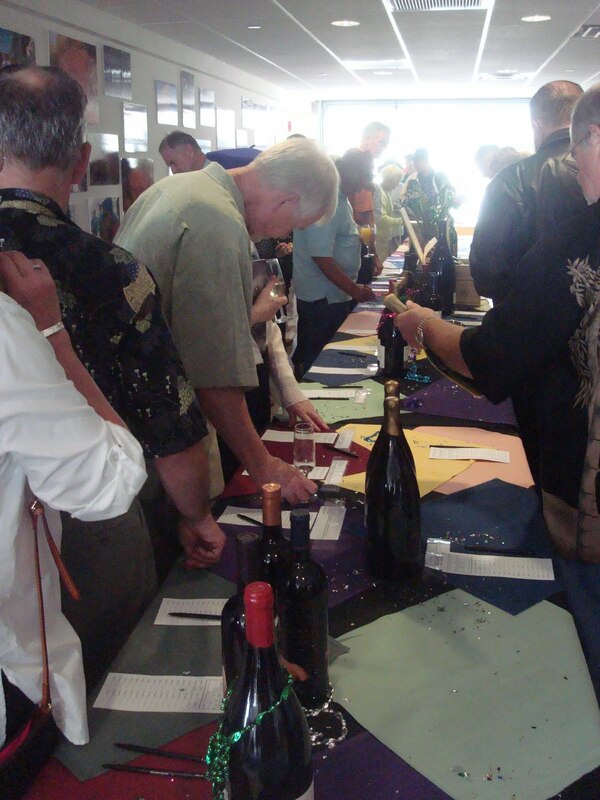 With auction proceeds often approaching or exceeding $1,000,000, the Central Coast Wine Classic is one of America's most successful charity wine auctions. 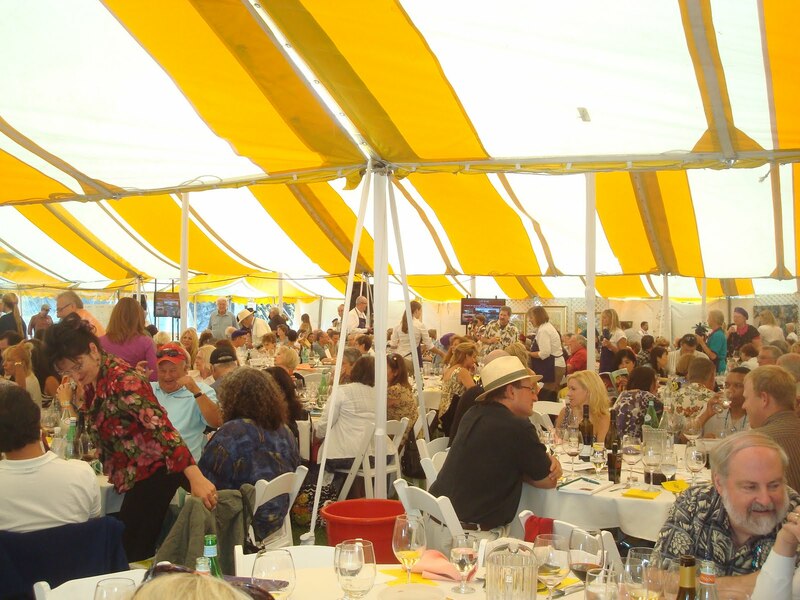 The Central Coast Wine Classic not only promotes the wine, culinary and hospitality industries, it also confers substantive proceeds upon a continually expanding number of healing, performing and studio arts organizations on the Central Coast of California. Archie has assisted in launching charity auctions in Washington, D.C., Honolulu, Santa Monica, Los Angeles, Mendocino, San Diego, San Francisco, Santa Ynez and Santa Barbara. 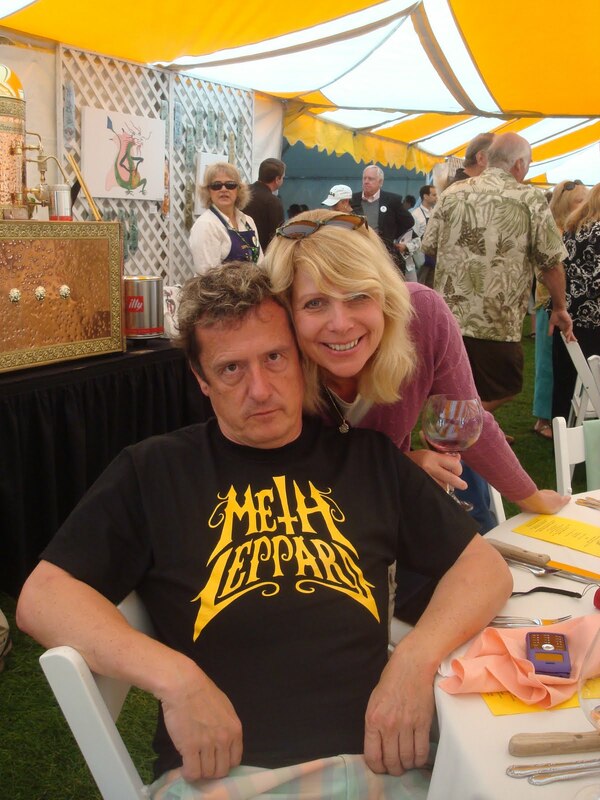 His partner in life, Carissa Chappellet, an owner of Chappellet Winery in the Napa Valley and the winery's ambassador, and he have served as Chairs of the WYES Public Television Auction in New Orleans and are frequent donors to charitable wine auctions throughout the United States. Archie is frequently invited to attend tastings of rare and collectible wines throughout the country and has participated in comprehensive vertical tastings of Chateaux d'Yquem, Latour, Cos d'Estournel, Leoville Las Cases and Cheval Blanc, as well as La Tache, Hermitage La Chapelle, Penfolds Grange, Vega Sicilia Unico, and Beaulieu Vineyards Georges de Latour Private Reserve, among a number of others. 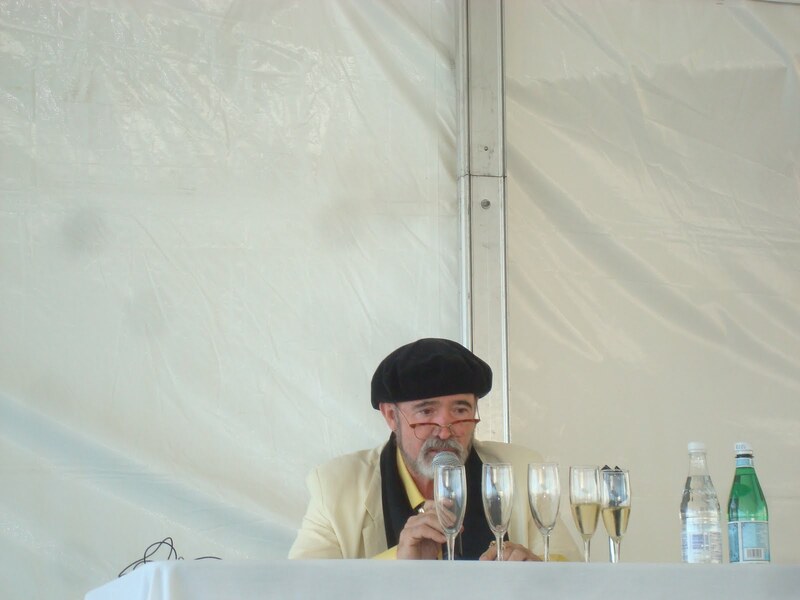 A long-time Champagne aficionado who has attended many tastings of rare Champagnes, Archie was Founder and Director of the International Festival of Methode Champenoise. 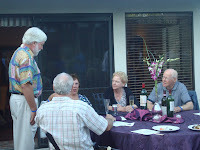 On San Luis Obispo & Santa Barbara Public Radio KCBX, Archie has hosted a fine wine program, the Wine Drinker's Guide to Indulgence, for twenty-three years, and has been a writer on fine wine for Adventure's in Dining, the San Luis Obispo Telegram-Tribune, New Times and Santa Barbara Magazine. 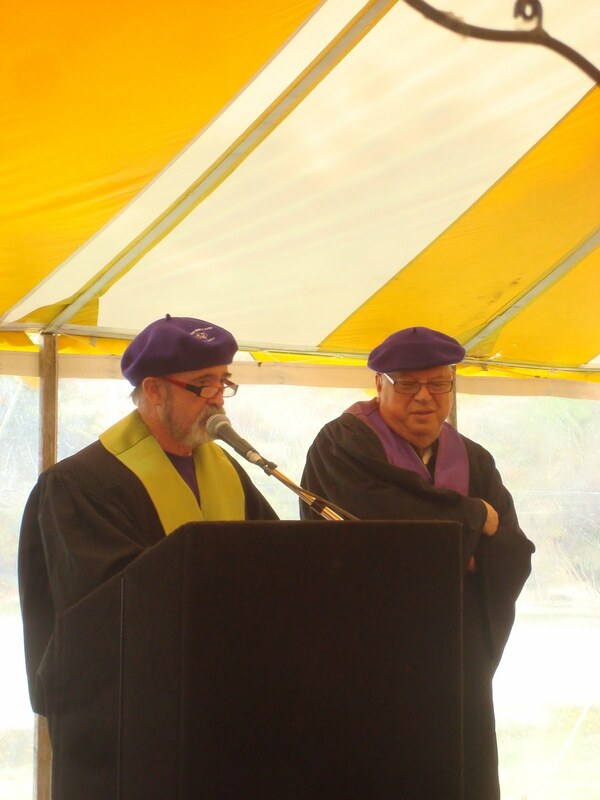 His education includes a Bachelor of Arts degree from Vanderbilt University, a Juris Doctor of Law degree from the University of Memphis, and post-graduate studies in Humanities, English Literature and International Marketing at various universities. Archie McLaren is involved in an array of civic activities, both in the arts and in the community in general. He has received the San Luis Obispo Visitors & Convention Bureau's Annual Tourism Award. He has twice served as the President of the Board of Directors of the San Luis Obispo Mozart Festival, and as a member of the Board of the San Luis Obispo County Arts Council. 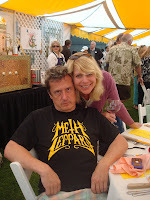 He was the Chairman of the Avila Beach Front Street Enhancement Committee that designed the promenade and park for the rejuvenation of the community of Avila Beach and is now the Chair of the committee that approves new projects for Avila Beach prior to their being approved at the county level. 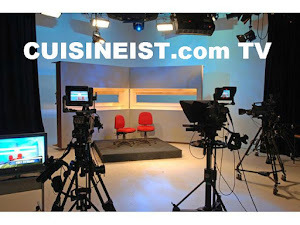 His many accomplishments have resulted in his continuing inclusion in Who's Who in Media & Communications, Who's Who in the West, Who's Who in America and Who's Who in the World. Archie McLaren and writer, painter, photographer, musician, adventurer, Carissa Chappellet, live in Avila Beach, Big Sur, and Napa, California, where they enjoy hiking, bicycling and a variety of water and court sports. 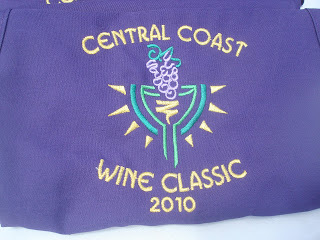 The Central Coast Wine event will be on our calendar for next year. If you are in the trade or even an enthusiast of food and wine , this event should not be missed . 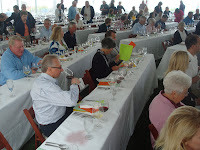 For 26 years The Central Coast Wine Classic Foundation's Board members, Stephanie Harkness of Santa Cruz, James Hathaway of San Luis Obispo, Alfred Griffith of San Luis Obispo, Carissa Chappellet of Big Sur and Archie McLaren of Avila Beach have done a tremendous service to the people of the Central Coast of California. 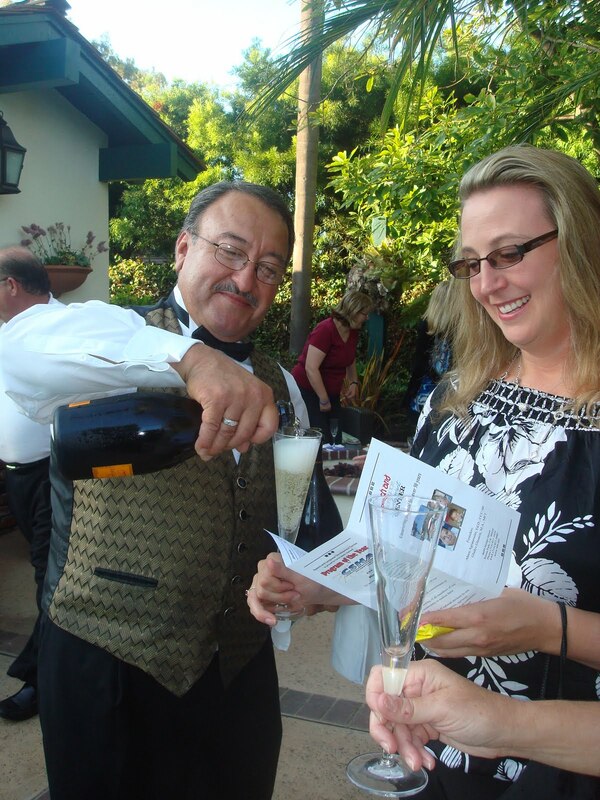 The Foundation awards monies from the Central Coast Wine Classic to fund grants on specific projects for non-profits from San Luis Obispo and Santa Barbara counties whose purposes and missions involve the studio arts, the performing arts and the healing arts. 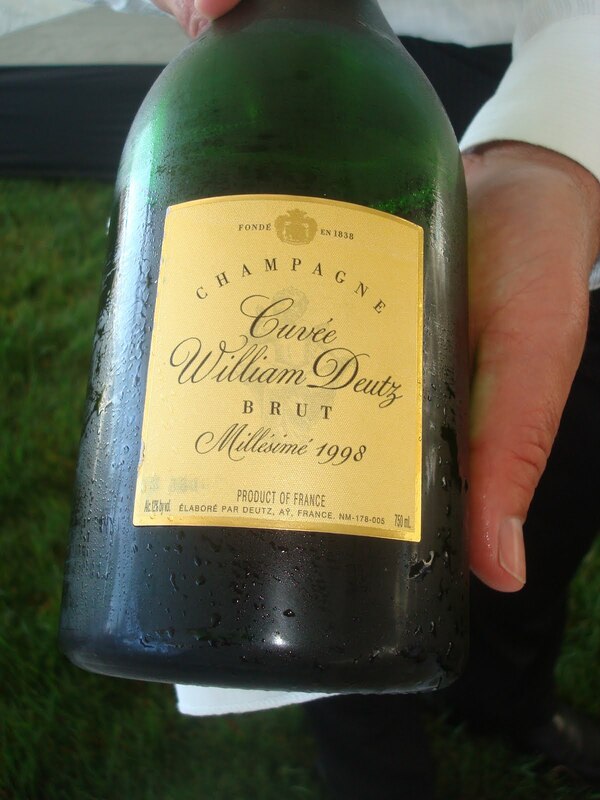 Grants are awarded in the Fall following that year's Wine Classic. Beneficiaries are determined by early January preceding that year's Wine Classic. From net proceeds from the Wine Classic, the Foundation funds specific projects for 501(c)3 non-profit corporations in San Luis Obispo County and Santa Barbara County whose missions are in the Healing, Performing or Studio Arts. Over the past six years the Foundation has conferred grants totaling $1,370,025 to 62 such non-profits. 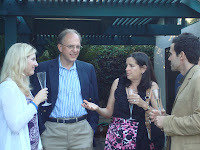 Grants for 2010 will be conferred in early October in San Luis Obispo. Maxine Lewis Memorial Shelter, San Luis Obispo; North County Dance & Performing Arts Foundation, Paso Robles; Pacific Wildlife Care, Morro Bay; San Luis Obispo County Historical Society, San Luis Obispo; Studios on the Park, Paso Robles; United Cerebral Palsy Work, Inc, Santa Barbara. 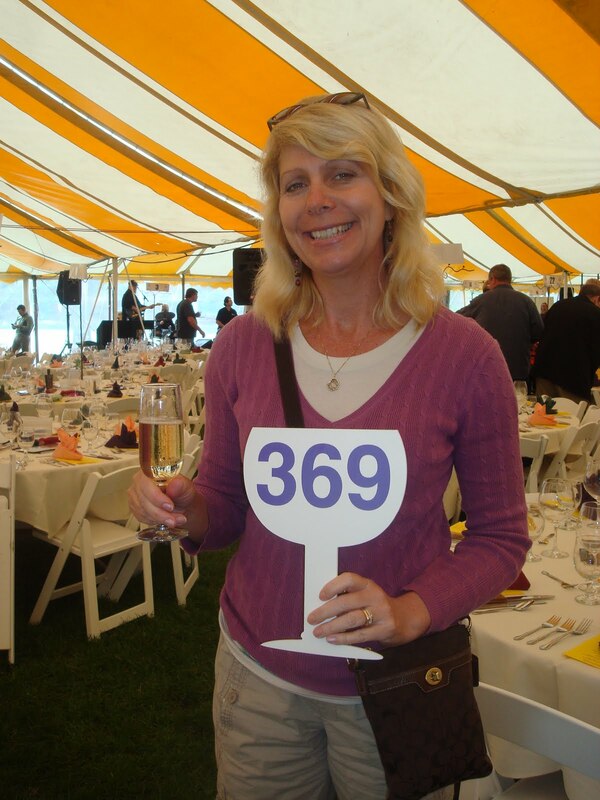 The Annual Fund-A-Need Auction Lot will inure to the benefit of the Senior Nutrition Program of San Luis Obispo County, San Luis Obispo. 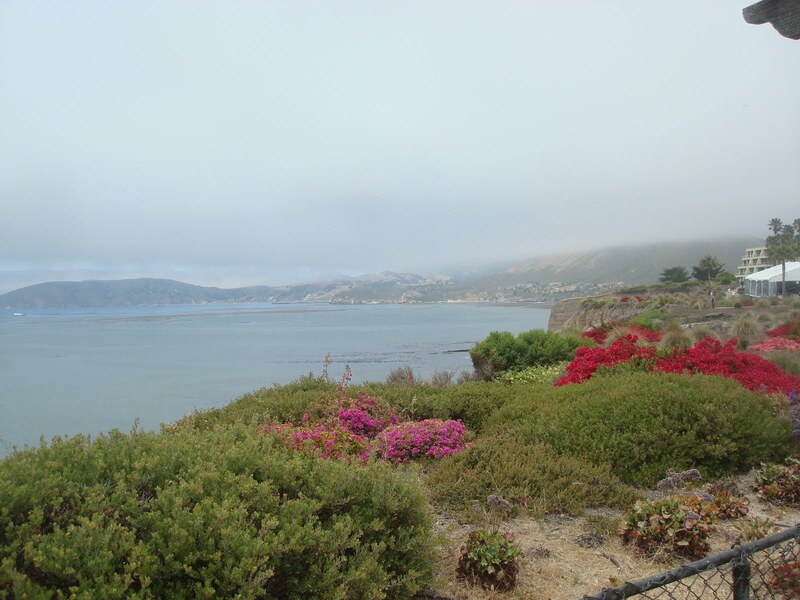 The fog was lifting away revealing a beautiful day in Avila Beach. 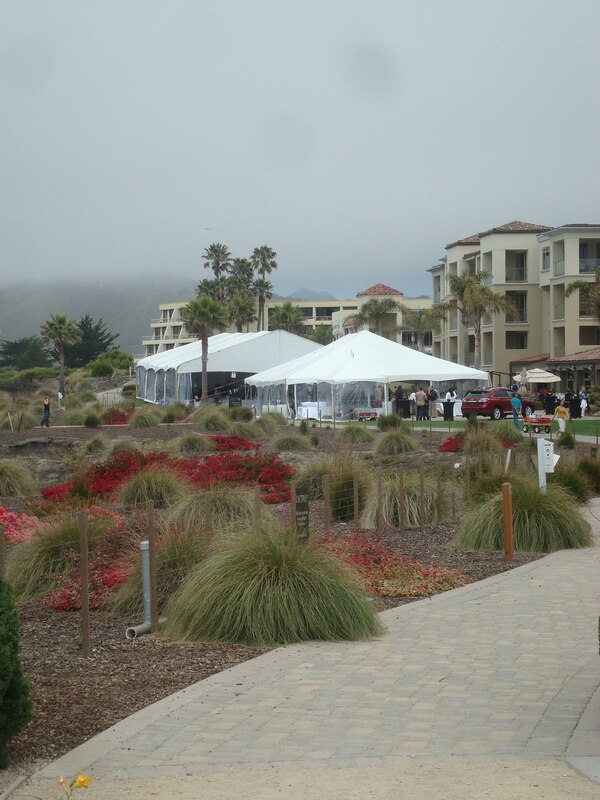 As we walked down the hill from the Avila Beach Golf club to the bright yellow and white tents we could not help but wonder at the beauty of this section of California's Central Coast. We found our table and proceeded to the Silent Auction area. As guests walked up and down aisle after aisle of vintage wines one could not help but be caught up in all of the action. 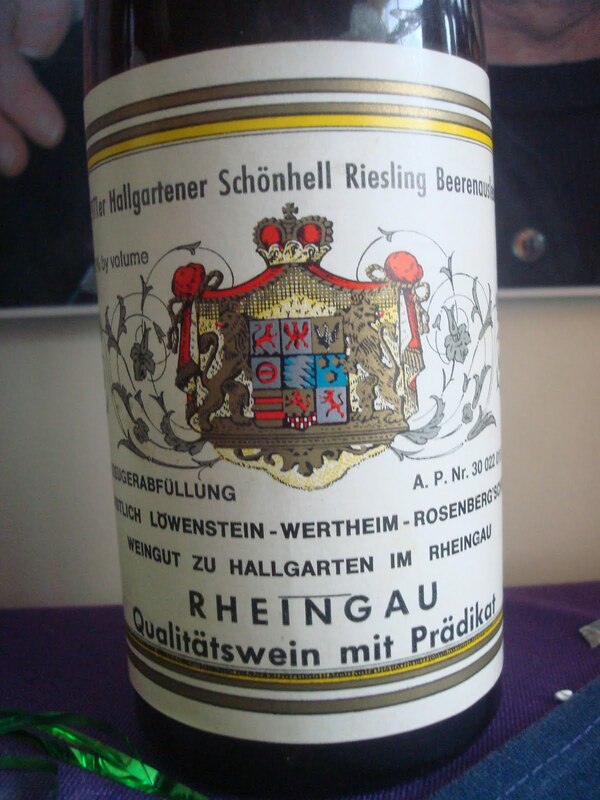 Several lots of vintage Margeaux wines was sure to catch your eye as well as individual German and Austrian wines that dated back to vintages from the 1970's. The Silent auction was not just about fine wines but also included Diamond bracelets , one of a kind art pieces of every discipline imaginable . If those were not of interest there were trips , cruises and dinners to almost any destination in the world you could imagine. 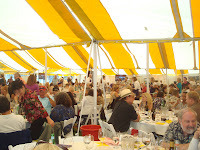 The live auction was "lively" to say the least with large winning bids for art , trips , wine and dinners which proceeds went to the very worthy causes chosen this year. Guests would not go hungry as they were bidding on many magnificent lots of fine art , wine , world wide travel and even a Lexus. 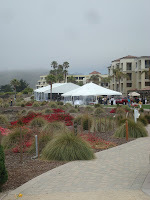 Chef Ian Mc Phee of Mc Phee's Grill at The Avila Beach Golf Resort created and presented us with a magnificent luncheon. The Central Coast Rare and Fine Wine & Lifestyle Auction really impressed us in many ways. 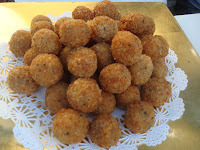 This auction really showed what the "food and wine lifestyle " is. It is about enjoying and sharing fine wines and food in wonderful venues as you make new acquaintances. In addition , by attending and bidding , you give back. 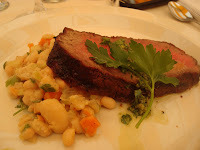 And in our opinion that is the MOST important aspect of the whole "food and wine lifestyle".